In recent years, mini-invasive surgery has become increasingly important for reducing the risk of infection and minimizing blood loss and volume of implants. Hip surgery requires small incisions, which make the use of the appropriate equipment and an extensive knowledge of the anatomy of the region essential. Mini-invasive surgery requires the surgeon to consider the indications for surgery for each patient he treats and to know the exact loco-regional anatomy for that patient. Methods must be very precise and warrant visual explanations to help teach young surgeons. 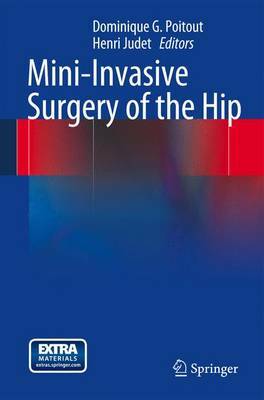 In this book, the different surgical approaches to the hip are presented in terms of their anatomical specifications and indications. Films of these operations, performed by international specialist authors, and some of these images are used to explain the surgical techniques described in the book. The highly didactic and visual presentation based on filmed operations is very helpful for the understanding of these methods.